Born a dragon prince in the Firelands, exiled for a crime he hasn’t committed yet, Glenn has learned to ignore his dragon. He made a life for himself on Earth, giving diving lessons and exploring wrecks in Lake Erie. But on the same day a new sassy assistant steps into his office, his old life catches up with him. 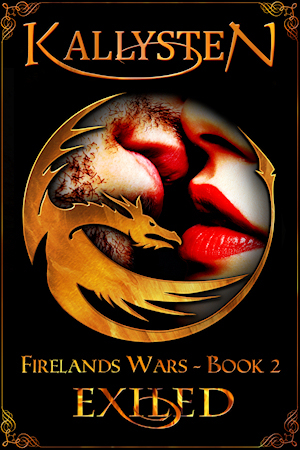 The Firelands are at war again, and it doesn’t take long for the fight to find Glenn, catching his assistant Nadia in the crossfire. Between his inner dragon rising again and calling her his mate and Glenn’s own reluctant attraction to her, he’ll do anything to keep her safe.